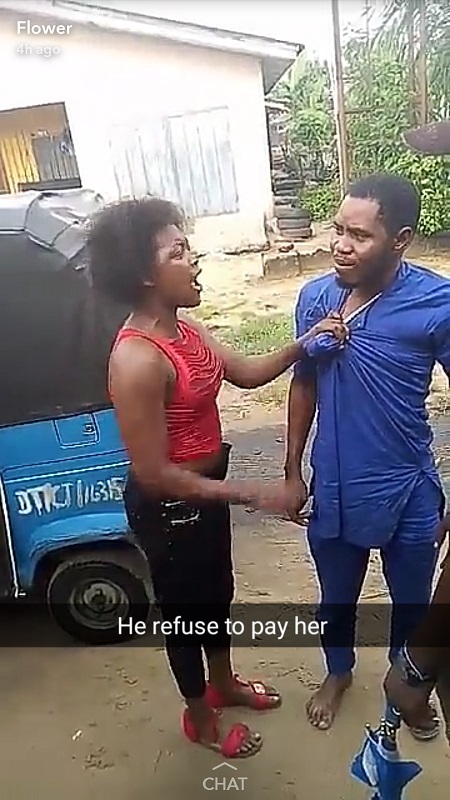 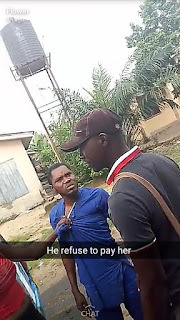 A viral dramatic video of a young Nigerian has been trending on social media recently over an unbecoming business engagement with a commercial s3x worker. 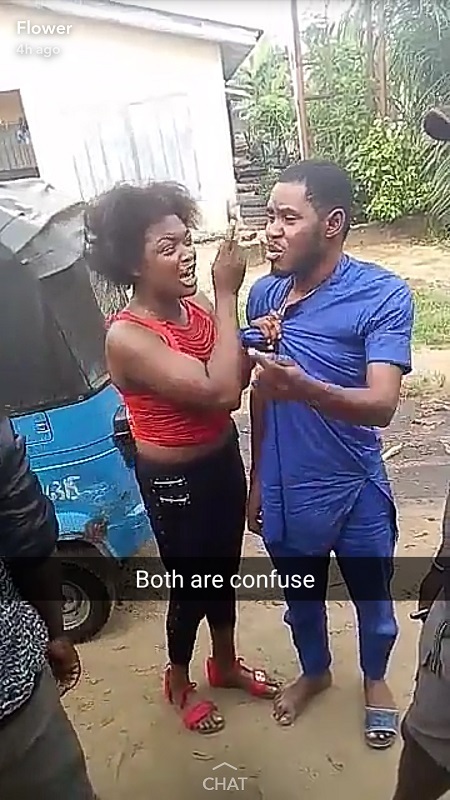 A trending video of a bold commercial s3x worker and a customer have caused a stir online. The alleged prostitute wearing a red top, black pants and red sandals to match is seen harrassing the man dressed in a blue native attire for allegedly sleping with her and refusing to honour their financial agreement.